Updated: 6:30 p.m. | Posted: 1:44 p.m. 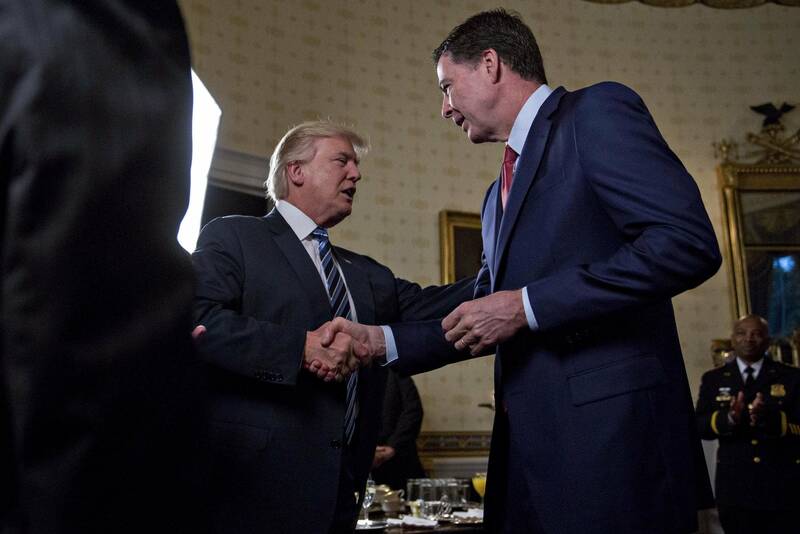 Fired FBI Director James Comey will testify under oath Thursday that President Donald Trump repeatedly pressed him for his "loyalty" and directly pushed him to "lift the cloud" of investigation shadowing his White House by declaring publicly the president was not the target of the probe into his campaign's Russia ties. Comey's detailed and vivid recollections of his one-on-one conversations with Trump were revealed in seven pages of prepared testimony released Wednesday, the day before his much-anticipated appearance before the Senate intelligence committee. His remarks paint a picture of an FBI director so disconcerted by his interactions with the president that he began keeping written memos of their private discussions. He'll tell lawmakers he believed the president was trying to create a "patronage relationship" with him and describe in detail an Oval Office meeting in which Trump urged him not to investigate ousted National Security Adviser Michael Flynn's contacts with Russian officials. Comey's statement came hours after two top intelligence officials told lawmakers they never felt "pressured" to do anything inappropriate by the president. But Director of National Intelligence Dan Coats and Adm. Mike Rogers, the director of the National Security Agency, angered members of the Senate intelligence committee by staunchly refusing to answer questions about conversations they had with Trump. In a phone call on March 30, Comey says the president asked him what could be done to "lift the cloud." He says Trump also volunteered that "he had nothing to do with Russia, had not been involved with hookers in Russia, and had always assumed he was being recorded when in Russia" -- referencing an unverified intelligence dossier detailing compromising information Moscow had allegedly collected on Trump.